My poetic life certainly begins when I was a child and used to watch the clouds when I was lying on the ground. Looking its wonderful and mysterious quality. The clouds always impressed me immensely. Early in the morning I used to run to see how they were getting up to the new day. Were they loaded and heavy? Were they light high into the sky? Black and fearful? Soft and blissful? The shapes that clouds make always provoked my imagination. Its magnitude. Floating. Floating water. Giants. Countless possibilities of forms. Limitless ability to reveal the light and shadows, to express a sacred world. Silently. Imagined them as huge beings traveling through the sky land. A mythological adventure. Storms. The rays. Thunders. Peaceful and stunning days with beautiful clouds passing through the shiny afternoon. Terrorizing us in the stormy nights. I wonder that the clouds carry the human imagination. Drawing and writing in its forms and volume. About everything. With an unusual dimension. Mythological dimension. Amazement and sublime gift. The clouds declaim all wonderful days epic poems of water. Telling about the nature of life... Relentless. Delicate. Powerful. Dramatic. Redemptive. Prophetic. Destructive fate. Saving grace. The eternal and divine mercy of water. 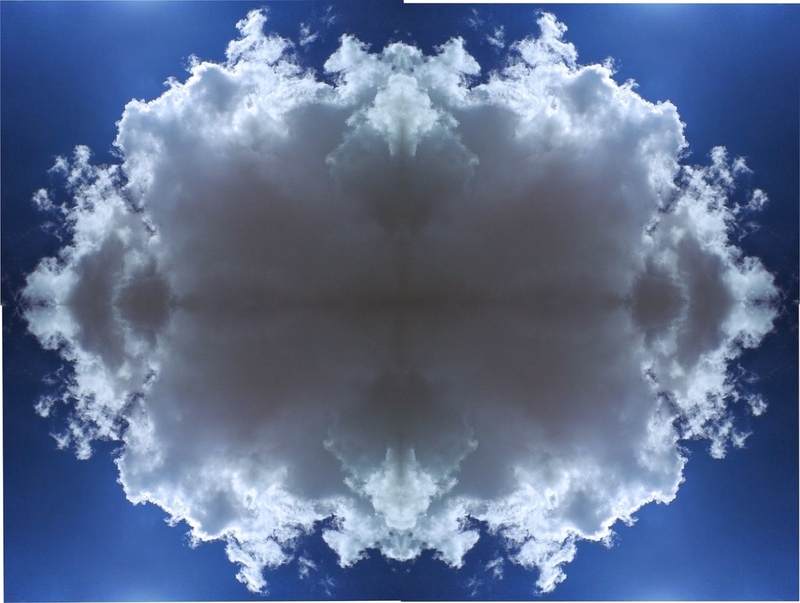 (These are digital photomontage works from photographs of clouds in its various states and, when it is possible, in several places which I must to do by myself. The images are reprocessed in a single software. Without several changes, without either stretching or distorting. Only are intensified or mitigated some colors and the relationship between light and dark as well. The ultimate intention is to produce poetic testimonials from lots of places to create litlle artworks and large panels either from these photomontages)."